INSPIRE, CONNECT, TRAVEL, DISCOVER, GROW. This is what we aim for, this is what we chase and this is what we work with. Enjoy every minute of your life, do what you love, make the best out of it while truly and effectively living it. We made windsurf, surf and yoga our life. 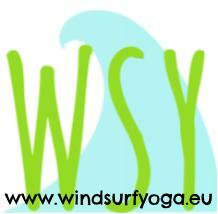 Windsurf, Surf & Yoga throughout Europe (and beyond). Martin grew up next to the Black sea. Living almost on the beach he couldn't resist the power of the water. He got stoked for windsurfing at 8 years old. As a teenager he taught and competed for the local windsurf club. Later, after Martin worked a few years in an office he decided it was time for a change. He went to Tarifa to get his VDWS instructor license and started teaching windsurf again. Besides windsurfing Martin loves travelling and surfing. Martin is a VDWS windsurf instructor since 2011. He taught 3 years in Fuerteventura, and continued teaching in Portugal. He made many people smile and inspired for WINDSURF! Martin has a direct, straightforward style of teaching, he will always make sure people learn to sail save and independent in different conditions. He likes to challenge and have fun while learning windsurfing. Since 2017 he has his watersafety (lifeguard) and International Surf Instructor certificates (ISA). Martin speaks: English, Spanish, Dutch and Bulgarian. Eline grew up further from the beach but a kid her mother took her windsurfing around the lakes in Holland and there she found the love for windsurf. She started windsurfing and travelling as soon as she had the chance. After a break off the water during injuries she found the qualities of a good yoga practise. She got inspired and went to get her teaching certificate in Indonesia. She became a Vinyasa Yoga Teacher 200h, and since 2014 she is teaching at the Yogaschool, YogaZevenbergen in Holland. Ever since she started she taught classes in Portugal, Spain, Nicaragua, Peru, Panama and Bulgaria. Eline is a certified Yoga Teacher. In Vinyasa, Yin and Motherhood by Birthlight. She also has divers massage certificates. Eline speaks: English, Spanish, German and Dutch. ​Martin & Eline met each other in Fuerteventura, here they worked in tourism and watersports. They travel, curiously searching and living in different places, where wind and waves, combined with great local customs and lifestyle offer a magical feeling of home. Living in these great places, following their dream, made them inspired to share this lifestyle and the passion for windsurf with others, and thereby started the first WindsurfCamp of WindSurfYoga. Now most of the year they are stationed in Fuerteventura. When Eline does not teach [days off, holidays, working in another destination, or by other reasons unavailable] there are a couple amazingly skilled local teachers helping us out. Just as Eline helps them out when needed. Alya lives on the north for many years, her boyfriend [fiance] is from the island, and she know the best corners to discover! Alya is a surfer, she surfs like not many girls can, her life is SURF! Discovering the benefits of yoga for her surfer body, she became a yoga teacher ryt300, and now shares the practice with who wants to learn! Tjasa teaches dynamic Vinyasa, hatha and Yin, a great teacher, strong and skilled, for many years!! You'll meet her mostly for the morning yog sessions. She teaches just like us mostly on the beach, organizing vegan workshops and her own yoga holidays. Besides Yoga teachers we also work with a Health Coach. This girl lives for sports! Living on the island for a couple years she knows some real good places to workout while you can enjoy views, fresh air and a nice ocean breeze. Kathrin studied a bachelor Sport Science and finished her studies with a master in Health Management, studying in Germany gave her the opportunity to come to Fuerteventura for an internship and to fall deeeply and heavy in love with Surfing. Enjoy a bootcamp, Functional Training or circuit with Kathrin, getting you more Fit and Healthy than ever before! Kathrin Speaks; German, English, Spanish and a little French. Yannick grew up in a family of sailors. He started windsurfing when he was 9 years old. ​Mostly he loves the feeling of freedom when he is out there on the ocean. Thanks to Yannick many people learn windsurfing and even learn to land their frontloop! Yannick is the owner of SailSense surfschool. He is teaching for many years from which the last 6 in Fuerteventura, he has a RYA licence and teaches according to his own pedagogic and experiences. He sailed the DEFI WIND (a big slalom race in France) twice! When teaching he uses his own pedagogics, he teaches beginner to very advanced (waves, loops, freestyle and competition preparations. Yannick Speaks; French, English, Spanish and Italian. "Today I'm sharing my passion for the wind and sailing, with people that have interest for it." If you want share your inspiration, connect with us, or discover about our destinations and trips check the blog or follow WindSurfYoga on Facebook, Instagram and Twitter..